Combine the milk, butter and vanilla in a medium pot over medium. Bring to a simmer. Pour the eggs and warm milk mixture into the flour mixture and whisk gently and as little as possible, just to combine. Add the rum and stir very gently, just to combine. Cover the bowl with plastic wrap and leave on the counter, out of direct sunlight, for 2 hours. 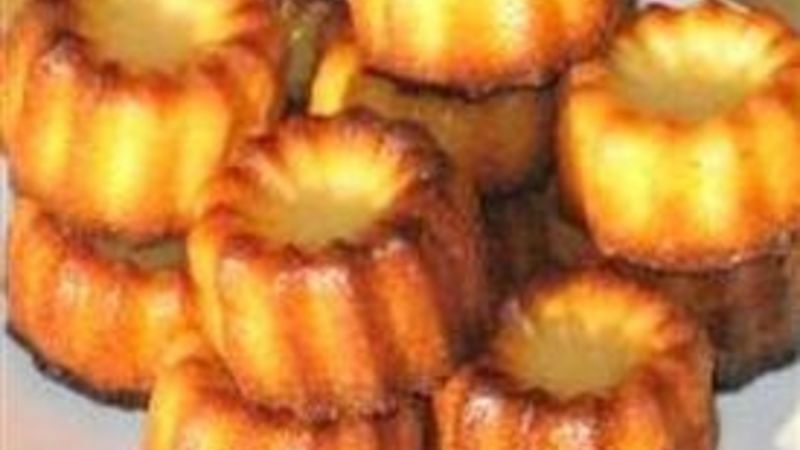 Butter or spray with cooking spray 18 canelés molds, mini-muffin molds or tartlet molds. Pour the batter into the prepared molds, making sure to fill no further than half-way up. Bake 35-40 minutes, or until the tops are very brown, almost burned at the edges. Unmold canelés and let cool completely before serving.